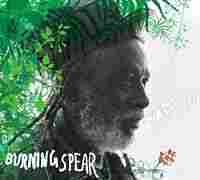 'Our Music': New Reggae from Burning Spear If Bob Marley is the "king of reggae," then next in that royal lineage is Winston Rodney — known internationally as Burning Spear. His new CD, Our Music, features the same bright, organic sound that's earned him fans for 35 years. If Bob Marley is the "King of Reggae," then next in that royal lineage is Winston Rodney -- known internationally as Burning Spear. Marley and Rodney met as young musicians in the late 1960s, and Marley encouraged Rodney to head to a studio and tape some songs. For Rodney and the reggae genre, it was good advice. Walter Rodney named his band Burning Spear, and he eventually took the name himself. And after 35 years of Grammy-winning music, Rodney's fire isn't going out anytime soon -- his new CD, Our Music, features the same bright, organic sound that made him famous.